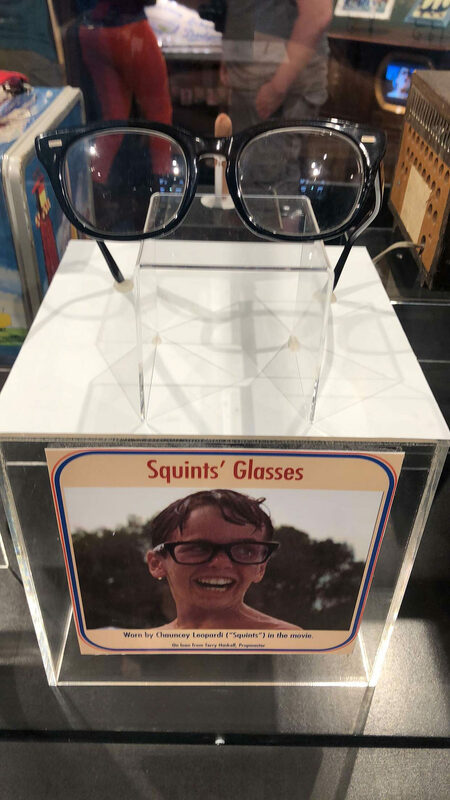 Louisville Slugger Factory & Museum-Louisville, KY: Ah, ‘The Sandlot’, definitely one of the best baseball films ever made, and a favorite for many. 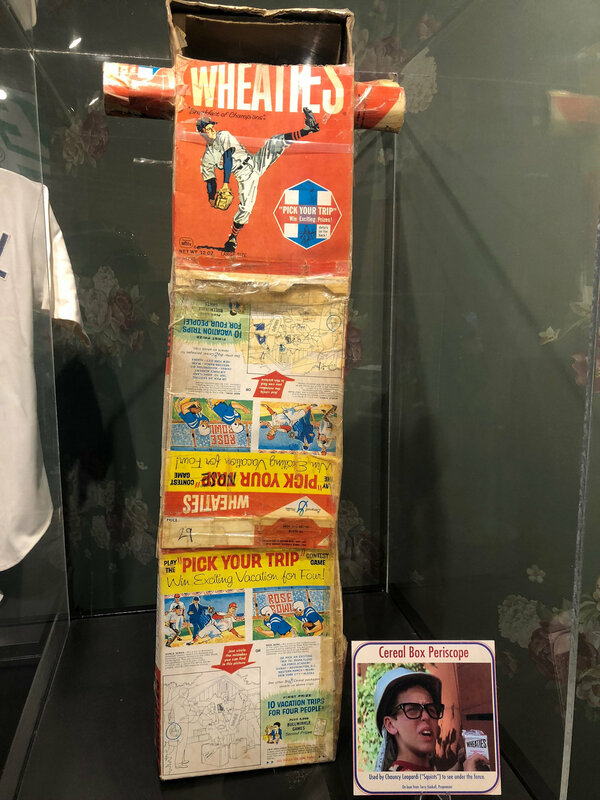 Recently the Louisville Slugger Museum hosted a For-Ever-Fest to honor this great movie, featuring movie props as well as a Q & A with members of the cast and crew. To the props first. 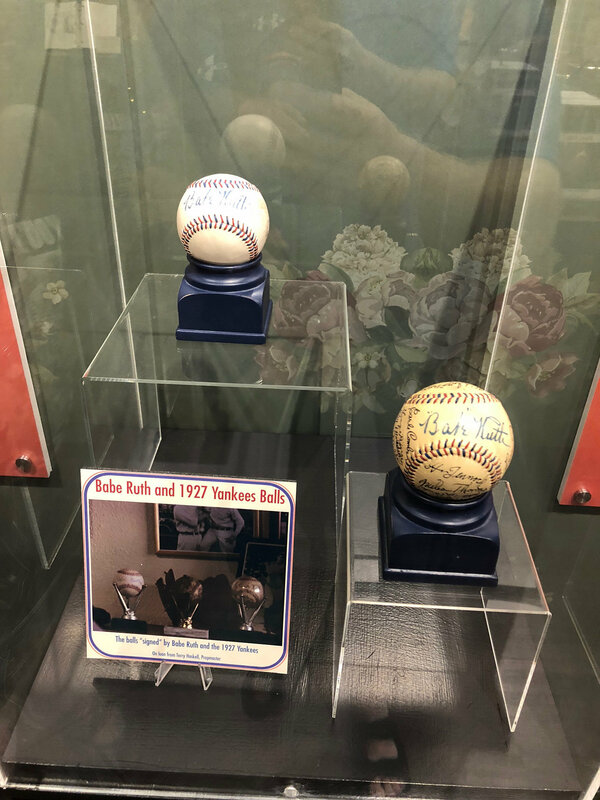 We were able to see the nick knacks in the movie that made it great, such as Benny’s PF Flyers, Squint’s glasses, and, of course, the baseballs signed by the Great Bambino himself. 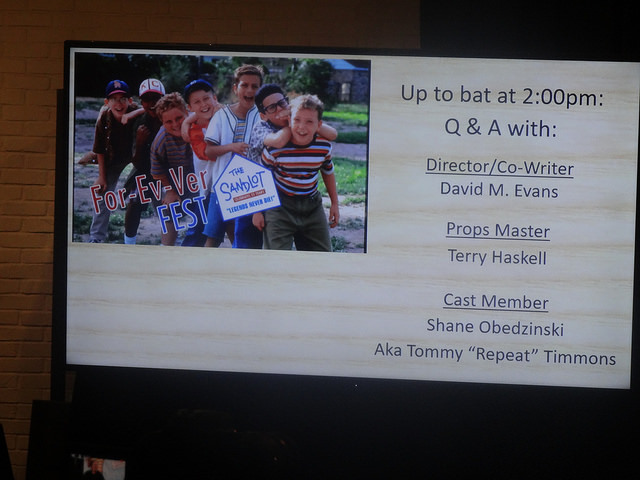 After checking those out, it was time for the Q & A with some cast and crew, featuring director and co-writer David Mickey Evens, Shane Obedzinski (who played Tommy ‘Repeat’ Timmons), and props master Terry Haskell. They answered all kinds of question about the film. 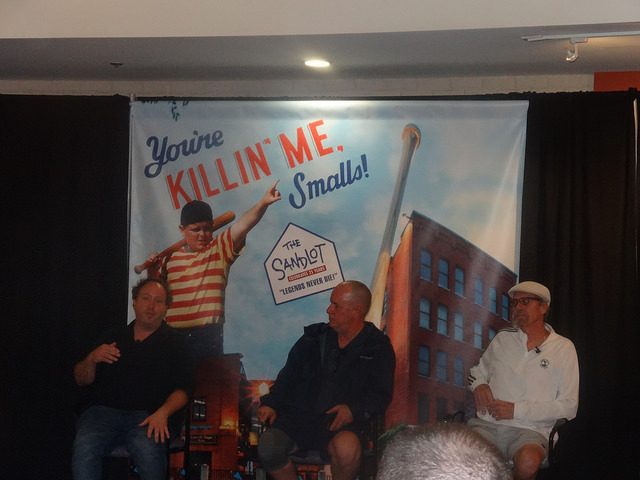 Below, you can see Brian getting his question answered, as well as David Mickey Even teasing a Sandlot prequel!!! 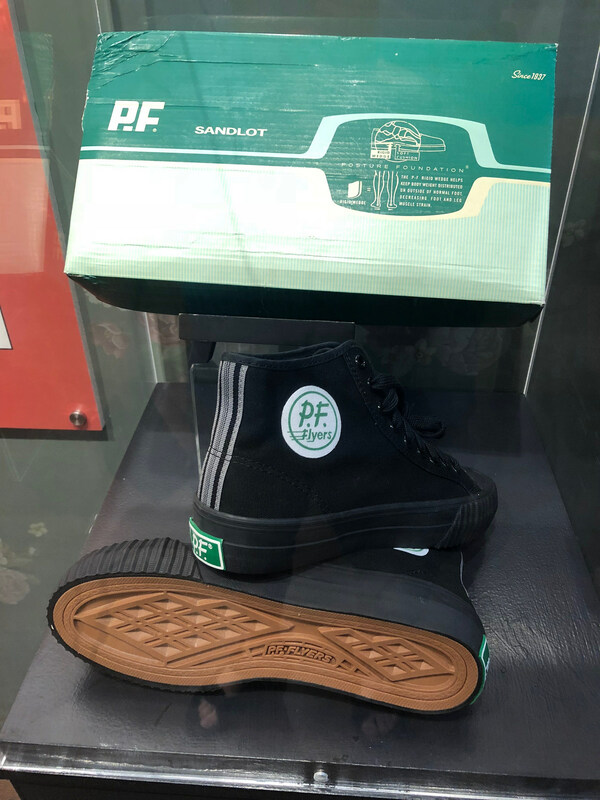 After the Q & A we did the tour and hit the gift shop. 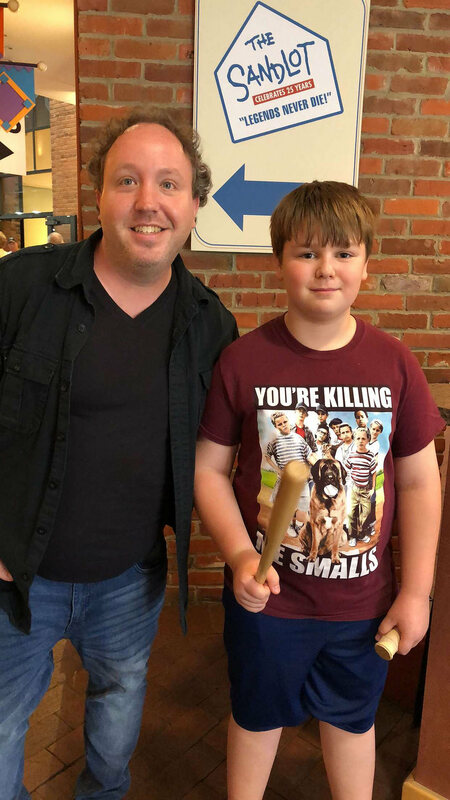 Brian got himself a new ‘Sandlot’ shirt and mini-bat. Lucky for us, David Mickey Evans and Shane Obedzinski were shopping at the time, also. 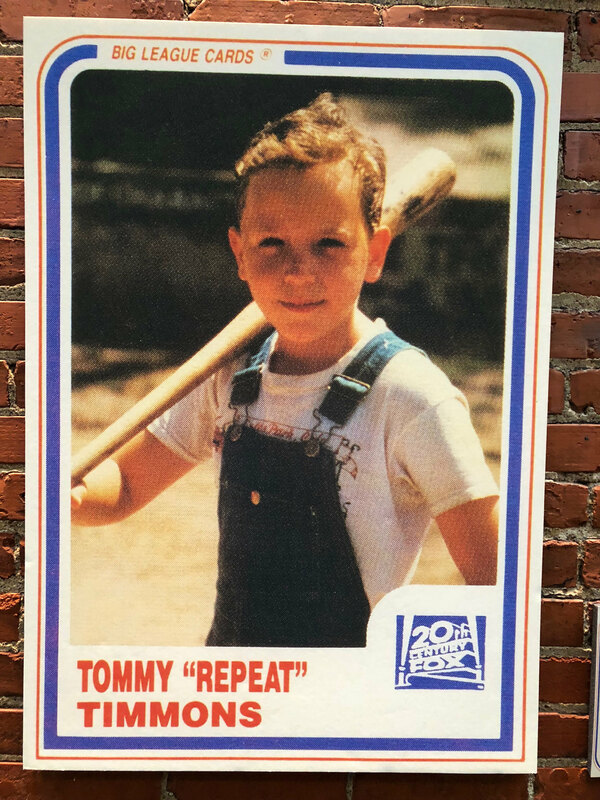 I had a good little conversation with Evans, not just about ‘The Sandlot’, but about another one of my favorite baseball movies he directed, ‘The Final Season’. 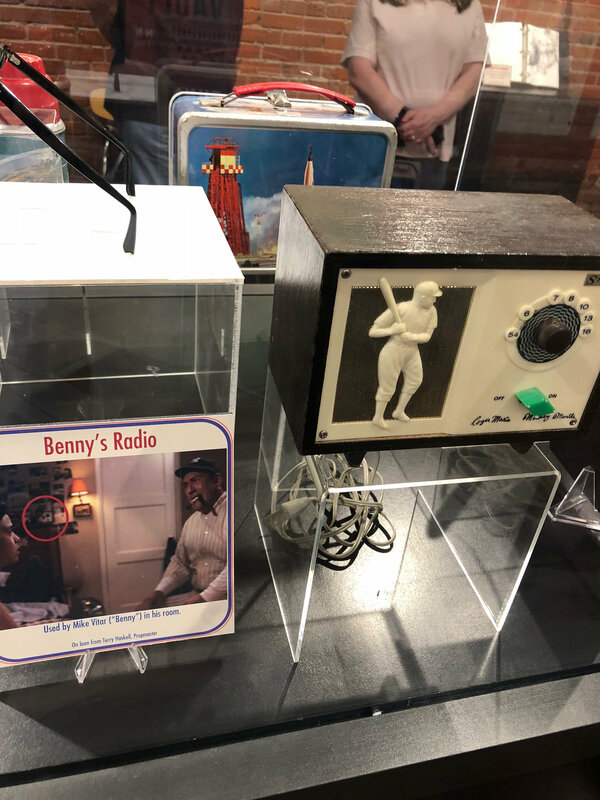 Brian was able to get a photo with ‘Tommy Timmons’, then we called it a day. On the way out, Brian asked: “Hey Dad, was this one of those once in a lifetime things?”. The answer was pretty easy: “Yes, son, it was…”.